Although the Chao Phraya River stretches throughout Bangkok, the area of most interest to visitors lies in central Bangkok, where the river borders the royal island of Rattanakosin and the opposite riverbank is full of attractions too. This part of Bangkok is home to some of the city’s most luxurious hotels and most impressive temples, along with several other landmarks. Accessible by BTS and River Boat, getting around the Riverside area is easy, not forgetting the chance to take a longtail boat James Bond style down the river or a more sedate cruise up to the ancient city of Ayutthaya. 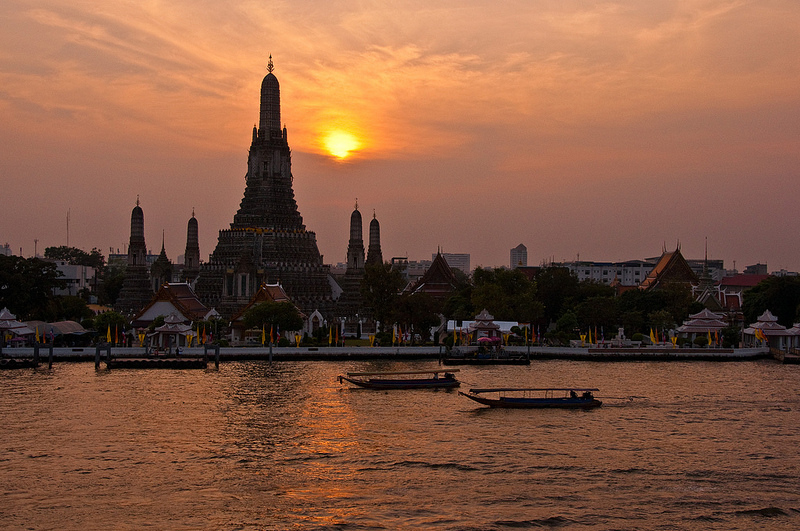 Wat Arun, also known as the Temple of Dawn, is an impressive riverside temple dating back to the Ayutthaya Kingdom. Reaching Wat Arun from the river is easy: take the Express Boat to Tha Tien Pier (N8), then take the cross-river ferry to the temple. Wat Prayoon is a white Buddhist temple located on the Thonburi side of the river. Quiet and far less crowded than Wat Arun, the grounds of Wat Prayoon contain ponds with turtles and catfish inside. Take the Express Boat to Memorial Bridge (N6) then cross over the bridge. The Asiatique offers riverfront shopping and dining in a location that’s easy to access from all of the riverside hotels. Hundreds of stalls, a Ferris wheel and riverside dining make this a fun destination for families. Take the free shuttle boat from Sathorn Pier (CEN). River City is a large shopping mall on the Chao Phraya waterfront specialising in antiques and Thai cultural products. Take the Express Boat to Si Phraya Pier (N3) — River City is just a few metres from the pier. Built in 1901, the old Bangkok headquarters of the East Asiatic Company stand out from the huge luxury hotels that dominate the Chao Phraya area. Currently unused, the East Asiatic Company Building is fun to spot while you travel along the river from Sathorn Pier. Bangkok is obviously better known for its Buddhist temples than its Catholic cathedrals, but Assumption Cathedral — located on Charoen Krung Soi 40 — is worth a visit if you’re staying near the river. The cathedral has a beautiful interior and impressive stained glass windows. Feeling squeamish? If you have a weak stomach, it’s best to avoid Siriraj Medical Museum. If not, you’ll enjoy visiting this fairly morbid museum, which contains everything from embalmed corpses (including a cannibalistic Thai serial killer) to Elephantiasis-infected body parts. 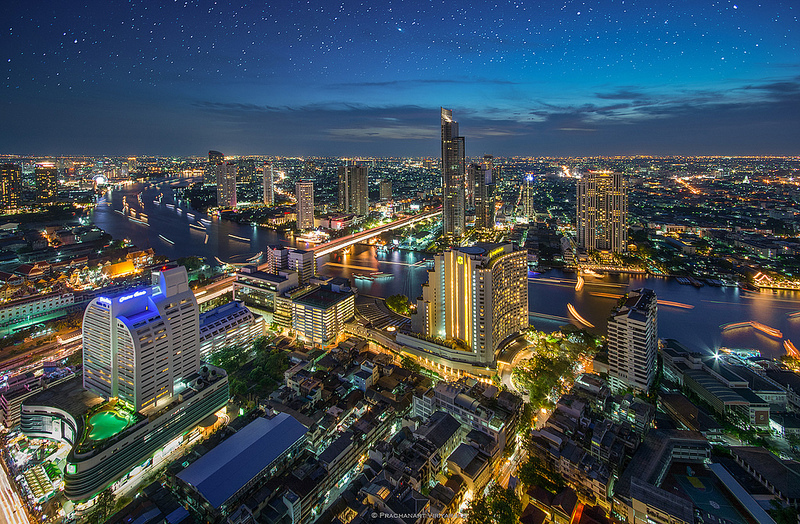 The Riverside area is home to several of Bangkok’s most luxurious hotel spas, as well as an assortment of inexpensive Thai massage shops. For those on a budget, Dahra Beauty offers great Thai massage and beauty treatments from 400 baht. For a more luxurious (and significantly more expensive) spa experience, try The Oriental Spa at the Mandarin Oriental. While the Chao Phraya River is usually busy with traffic all day, most of the khlongs (canals) on the Thonburi side of the river reflect a quieter side of Bangkok life. Pandan Tours offers a great canal tour that lets you see Bangkok’s ancient waterway transport system up close. Located further up the Chao Phraya River near backpacker hub Khao San Road, Phra Athit Road is home to a selection of unique bars, cafés and restaurants. Take the Express Boat to Phra Arthit Pier (N13). Located on Charoen Krung Soi 34, Harmonique serves classic Thai food inside a rustic and charming shophouse. Open until 10 pm and a short walk from most of the hotels in the area, Harmonique is a good choice if you’re staying along Charoen Krung Road. Once the sun sets, the Chao Phraya River slows down and becomes a much quieter, more relaxing place to dine. 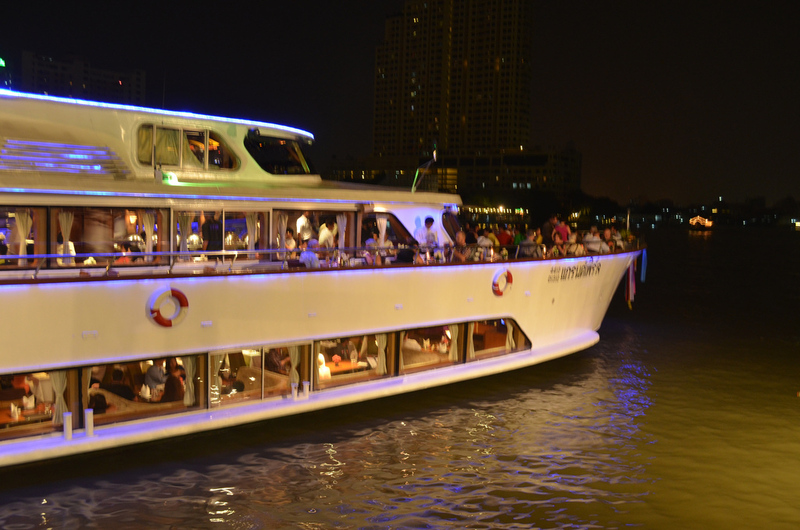 Several companies operate dinner cruises on the river, but Apsara — operated by the Banyan Tree Hotel — is undoubtedly the best. Calm, quiet and relaxing, the Riverside Terrace at the Mandarin Oriental Hotel will make you feel like you’re no longer in Bangkok. 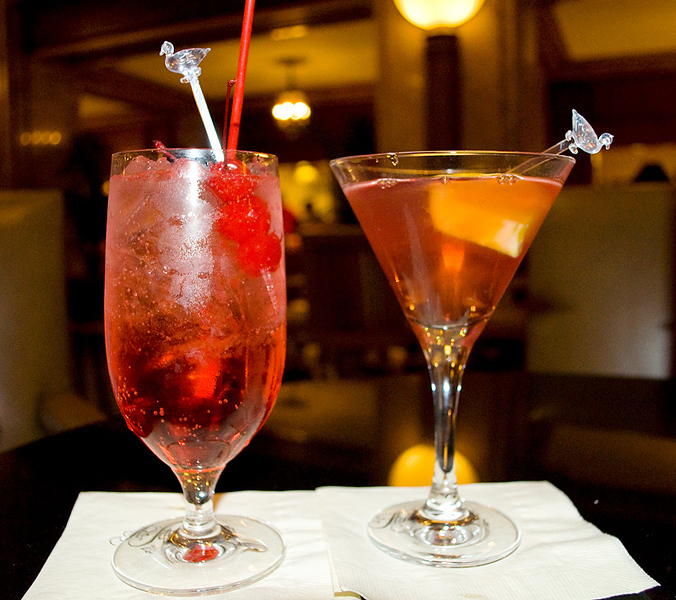 An international buffet is served from 7 until 10:30 pm, with the bar open for drinks until just past midnight. Sala Rim Naam is an outstanding Thai restaurant owned by the Mandarin Oriental. Although it’s operated by the Mandarin Oriental, it’s located across the river — you can travel across to the restaurant on the free shuttle boat. Smart dress required. Le Normandie is a French fine dining restaurant boasting one of Bangkok’s best wine lists. Its large windows offer fantastic views of the Chao Phraya, while the menu, by chef Chef Arnaud Dunand Sauthier, is focused on modern French cuisine. Smart dress required. Flow is a riverside restaurant located inside the Millennium Hilton. If you’re not a guest at the Millennium Hilton, you can reach the hotel using the free shuttle boat from Sathorn Pier. The menu is made up of mixed international dishes with a focus on sushi and sashimi. Prime Steakhouse serves a range of great steaks, as well as fresh lobster and oysters, with a great view of the Chao Phraya River. An extensive wine list makes Prime a great choice if you feel like a break from Thai dining. Set inside three classic Thai teakwood houses, Chon is the house restaurant of the luxurious Siam Hotel. The menu focuses on high quality Thai dining — Chon also has a cooking school for guests interested in learning the art of Thai cooking. Reservations required. One of Bangkok’s most luxurious hotels, the Mandarin Oriental has a beautiful location on the Chao Phraya River and some of the most luxurious suites in the city. Incredible service and a real attention to detail makes this arguably the city’s most luxurious hotel. Located on the Thonburi side of the Chao Phraya River, the Peninsula Bangkok has a private shuttle boat to make accessing the city easy. Rooms are amazingly luxurious, while the hotel facilities include a stunning riverside swimming pool and a selection of great restaurants. Conveniently located near BTS Saphan Taksin, the Shangri-La Hotel offers great river views and an even better location. Two swimming pools and a luxurious spa make this one of the best hotels in Bangkok for escaping the noise and activity of the city. The Siam Hotel offers a different experience from Bangkok’s other luxury hotels. All of the rooms are spacious suites, some of which include a private swimming pool. Elegant decor and spacious rooms make this a great choice for travellers seeking the ultimate in luxury. The Praya Palazzo Hotel is a beautiful classic hotel located on the Thonburi side of the Chao Phraya River. Accessible via a private shuttle boat from Phra Athit, its comfortable rooms and stunning swimming pool and courtyard make it one of Bangkok’s most picturesque hotels. The Anantara Bangkok Riverside Resort and Spa is located slightly further down the Chao Phraya River than most other luxury hotels, giving it a quiet and relaxed atmosphere that’s ideal for travellers aiming to escape the hustle and bustle of Bangkok. Great views of the Chao Phraya River and Silom skyline, luxurious rooms and suites and a beautiful elevated swimming pool make the Millenium Hilton Riverside Hotel a good place to stay in Bangkok. The Hilton offers a free shuttle boat service to and from BTS Saphan Taksin. Located close to the Asiatique, the Chatrium Hotel Riverside is a comfortable and luxurious five-star hotel that offers excellent Chao Phraya River views. Rooms are spacious, while the riverside swimming pool and bar is a great place to relax at the end of the day. Although the Centre Point Silom Hotel is set back slightly from the Chao Phraya River, it has a great location within walking distance of BTS Saphan Taksin. Rooms are large and modern, with the outdoor saltwater pool a fantastic place to relax and enjoy the heat. Located further up the Chao Phraya River on Phra Athit Road, the Riva Surya Bangkok Hotel has a fantastic location close to the city’s most popular temples and historical attractions. Its modern rooms offer great views of the Chao Phraya in an interesting part of Bangkok. Located directly opposite the Millennium Hilton, the Royal Orchid Sheraton Hotel is a four-star hotel offering great views, spacious rooms and a relaxing riverside experience with a far more affordable rate than the numerous five-star hotels in the area. The Ibis Bangkok Riverside is located on the Thonburi side of the Chao Phraya within easy reach of BTS Krung Thonburi. Clean and comfortable rooms, along with a great swimming pool, make the Ibis a good choice for families and solo travellers seeking a quiet location. Located on Charoen Krung Road, Oldtown Hostel offers a great location close to Bangkok’s most luxurious hotels without the same price tag. Dorms and private rooms are available at low prices, making Oldtown Hostel a great choice for budget travellers. Bangkok Hub Hostel offers clean, comfortable dorm beds and private rooms located close to the Chao Phraya River. The hotel is a short walk from BTS Saphan Taksin, making it easy to explore Bangkok via BTS Skytrain or river boat. Live jazz and classic cocktails make The Bamboo Bar one of Bangkok’s best hotel bars. Open until 1 am during the week and 2 am on the weekend, The Bamboo Bar attracts guests of the Mandarin Oriental and high-society Thais seeking a relaxing drink in a charming atmosphere. Viva & Aviv offers great riverside drinks and dining outside River City Shopping Mall. Run by the team behind Soi Ruamrudee favourite Hyde and Seek, Viva and Aviv’s menu is made up of pub food favourites while the drinks are strong and tasty. Balco is located on the 5th floor of the River City Shopping Mall. Easy to access via the Chao Phraya Express Boat, Balco offers great views of the Chao Phraya and the dense skyline of the riverside. Drinks start from 200 baht, with an inexpensive BBQ restaurant next door. The ThreeSixty Lounge at the Millenium Hilton might not be outdoors like most of Bangkok’s rooftop bars, but that’s a good thing. From here, you can take in amazing views of the Silom skyline and try a range of great cocktails, all in air conditioned comfort. Located on the Thonburi side of the Chao Phraya River, the Peninsula Hotel’s River Bar is a nice place to relax and let the world drift by. If you’re staying on the Silom side, take the free Peninsula Hotel shuttle boat from Sathorn Pier. Sathorn Pier, the central pier for the Chao Phraya Express Boat, is a short walk from Saphan Taksin BTS Station. Most of the high-end hotels along the river run a free shuttle boat to and from the Sathorn Pier. Almost all of the top sights along the riverside can be reached on the Chao Phraya Express Boat. 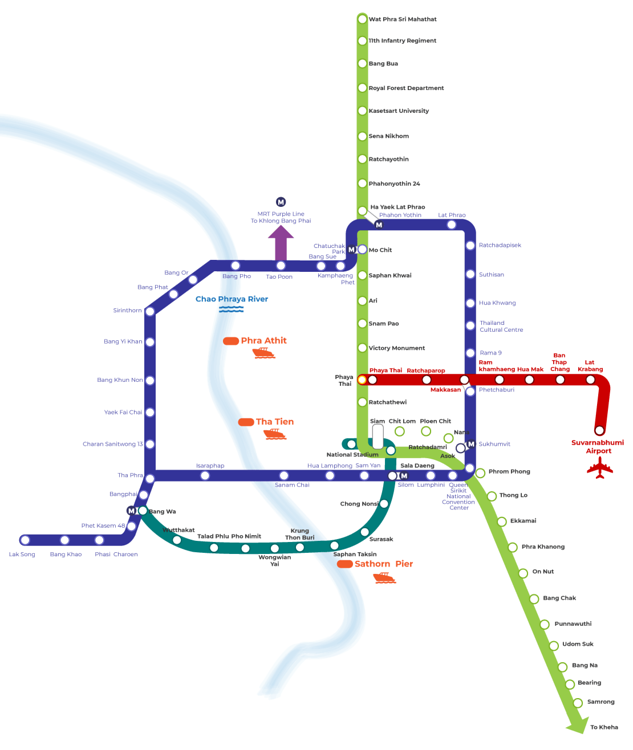 Oriental (N1) and Si Phraya (N3) piers cover most of the Silom/Riverside area, while Tha Chang Pier (N9) provides easy access to Rattanakosin and the Grand Palace.